There are different ways to use Agantty. 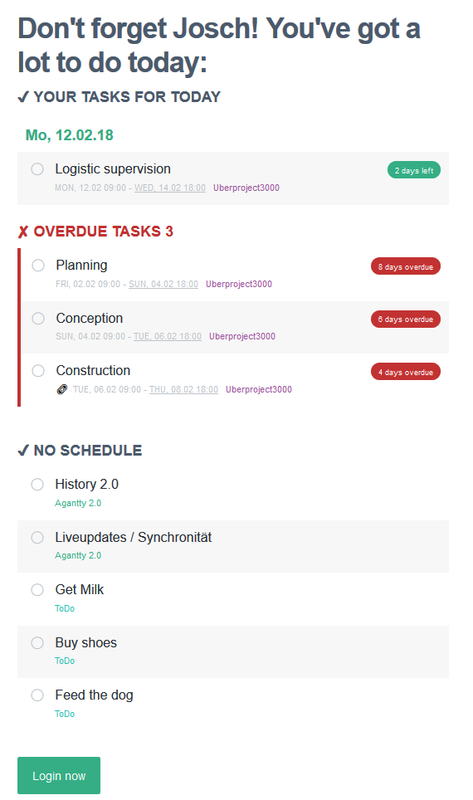 The most obvious of course is to go to the web app, create projects, set up tasks and assign them them to team members, shift deadlines (let’s be honest – mostly to be later than sooner) and overall manage and control the projects. But this only really goes for team members with permissions to change all that. The bigger a project gets the more sense it makes to delegate tasks to members and change their permissions to “employee” or “viewer” to not have them interfere with the timeline. Because it might even be unnecessary for these employees and viewers to always check back on the website we implemented the possibility to get daily and weekly summaries. To set them up, simply go to the settings page and go to notifications. Here you can set up daily or weekly summaries. Or just do both – what the heck, just go for it. It’s free and all. You can even select the time you want to get those summaries. Would make sense to get them the same time you start working but it’s a free country – do what you want. Anyway, this is what a weekly summary might look like. This will also show you unscheduled private tasks like you To-Do list. 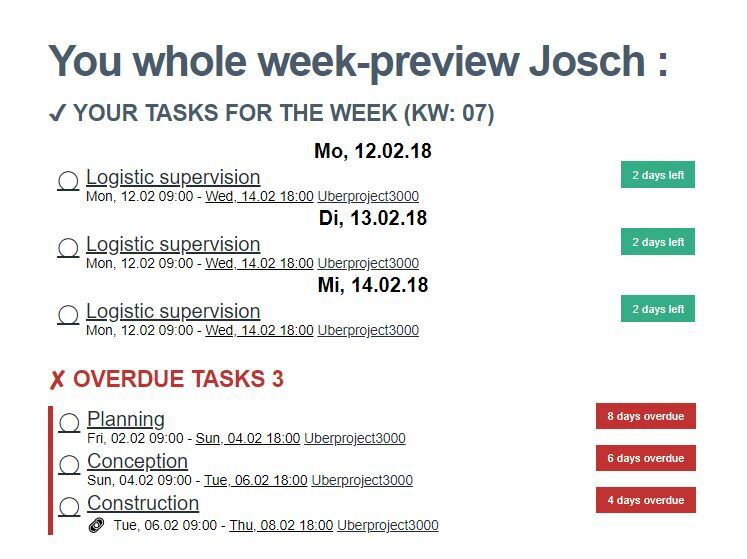 Every task is a clickable link that will get you directly to the task view in the Agantty web app to mark it as done – if it actually is done!